Hypnos Contract Beds understands that its clients are in the business of Sleep; delivering an exceptional sleep experience for their guests each and every time they visit, encouraging repeat business and positive reviews. With this in mind, we provide tailored and versatile solutions for each hospitality property, delivering the perfect sleep experience for each type and size of bedroom, ultimately helping to maximise occupancy revenues and positive reviews. A hassle-free service solution, including in-room installation and bed disposal, provides an effortless, speedy and cost effective solution, as you would expect from a strong partnership with a global brand. Hypnos has a dedicated project management team which offers our hospitality clients a unique 8 Step Sleep Plan, from on-site consultation and bespoke design services to old bed disposal and ongoing marketing support, ensuring that we work with you to not only provide an enhanced guest experience, but also increased profitability. No two bedrooms (or hotels, or guests…) are the same, so Hypnos Contract Beds reflects this by offering a service that is as flexible as our clients’ needs and can be used in full, or in part. Our Project Team will work with you to obtain a detailed understanding of your requirements, taking into consideration room layout, number of rooms, products required, desired comfort levels, design influences, brand standards and timescales. Our full range of hospitality beds can be viewed at our showroom in Castle Donington, UK. We recommend a visit to our showroom to select the most appropriate comfort levels, style and fabrics for your property. You will also be able to see how we manufacture the beds. We can also offer pressure mapping so that you can see how our different Sleep Solutions compare in terms of comfort and support. 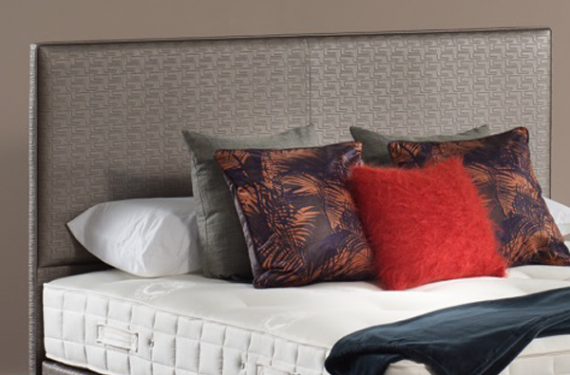 With more than 20 possible mattress, bed base and headboard combinations in our standard range alone, along with 60 specialist hospitality fabrics, we are able to work with you to define the perfect Sleep Solution for your property. All beds come in a range of standard sizes from 90x190cm through to 200x200cm with ‘zip and link’ options, plus a choice of functional features such as storage and under beds. We take into account all of the elements required to deliver an optimum sleep experience for your guests such as fillings, fabrics, fire retardancy, expert tufting, anti-bed bug treatments, breathability and pocket spring configuration to ensure that we are producing a highly stylish, comfortable, durable and functional Sleep Solution. Where appropriate, we can also develop innovative and bespoke solutions specific to your property ranging from the development of a specific combination of comfort layers to the creation of a customised bed label to promote your hotel brand. Working with our financial partner, we can offer a flexible finance package for bedroom refurbishments, based on leasing, to allow our clients to conserve capital and preserve existing borrowing power. Leasing ensures payments come from revenue budgets and not capital budgets; spreading the total project cost evenly across the whole life of the bedroom, making budgeting easier and thereby protecting your cash flow and strengthening your financial controls. Your Project Team will co-ordinate the delivery and installation of your Sleep Sets with our in-house Installation Team. Prior to delivery, the Project Team will complete a pre-delivery questionnaire with you in order to highlight any potential complexities for the installation. This will take into account on-site access, procedures and risk, evaluating any health and safety concerns. A clear installation schedule will then be drawn up and shared with you in advance of the installation. 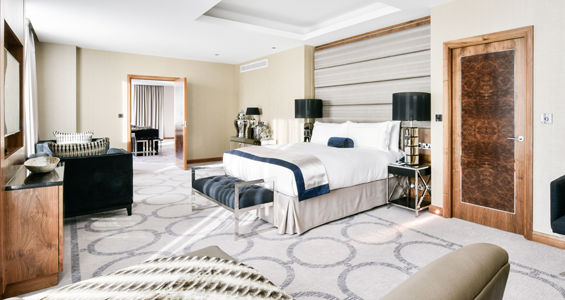 On installation day, our specialist in-house installation team will assemble and install the beds in the nominated rooms on the nominated floors. 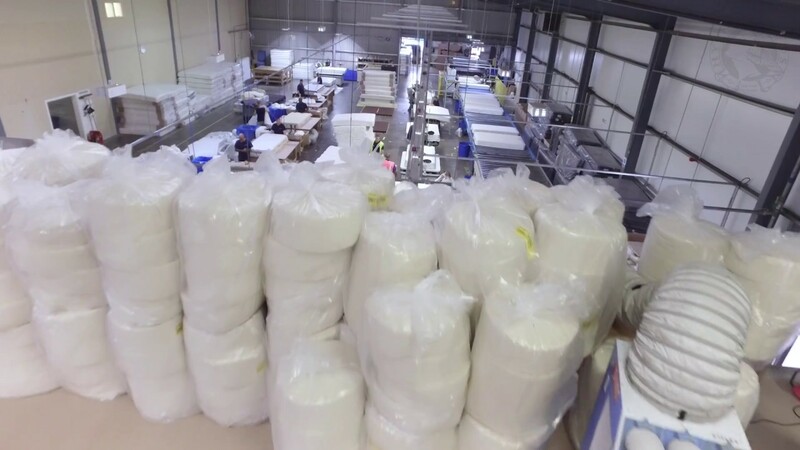 Hypnos is the UK’s first Carbon Neutral bed manufacturer. We have a 100% landfill avoidance policy built around circular economy. Our leading old bed disposal and recycling service (also applies to sofa beds) helps our clients to reduce their carbon footprint by removing and disposing of your old beds, ensuring they are deconstructed and each component recycled, creating components and fuel for re-use in other industries. We always try to re-use products at the highest point of the circular economy, in their original format, or send them to charities in the UK and internationally. The average mattress has a volume of 23 cubic feet and with 7.5 million mattresses discarded in the UK each year, the landfill space that is used is enough to fill Wembley Stadium over 5 times every year! Mattress Toppers can be provided to your guests to allow them to tailor their chosen comfort level without compromising support. Hypnos Luxury Waterproof Mattress protector is proven to effectively protect against any soiling or liquid ingress. 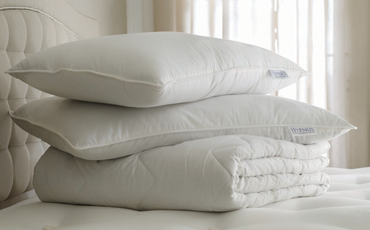 The soft quilted layers hold liquid more effectively, allowing for improved washability and can be washed at 60˚ to ensure the product remains bed bug-free. Hypnos is focused on developing long term relationships with our clients. An important part of this is the regular monitoring and marketing of your bed and upholstery investment throughout the 5-year guaranteed life time of the product. 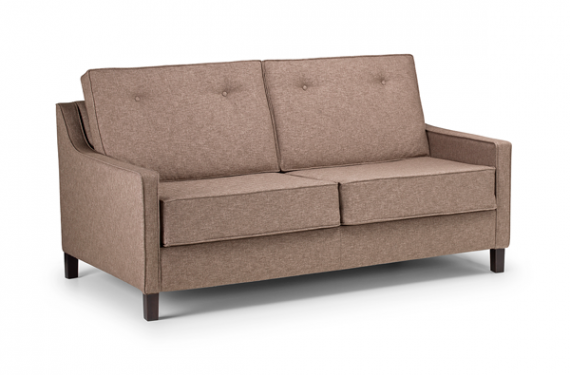 Through our tailored Bed Surveys we can monitor and review the condition of your beds and sleep experience at agreed intervals, recommending a replacement programme, or we can upgrade the comfort levels in your suites and enhance your room usage options by including sofa beds in larger rooms.  The Hypnos brand has strong appeal and recognition, especially in terms of its global luxury pedigree, Royal Warrant status and the awarding of the Queens Award for International Trade in 2017. We work with many of our clients to integrate our brand into their own marketing stories, creating a point of difference within your own online, in-room and general marketing material and are working with several hotel chains to meet the demands of their guests who want to buy their hotel bed, hoping to emulate the hotel’s comfort, sleep experience and luxury at home. Each and every product goes through a rigorous process of testing and inspection, providing hoteliers with peace of mind that they are buying robust, comfortable sleep solutions that are built to last, whilst offering the design flare required for a hospitality setting. Hypnos has an extensive network of global representatives servicing and supplying our clients locally. All our products are tailored for the requirements of international markets, taking into account specific regional demands for quality, safety, design, hygiene and housekeeping preferences. No two bedrooms are the same, so we reflect this by delivering a service that is as flexible as our clients’ needs. With more than 20 beds and sofa beds, almost as many headboards and our selection of fabrics to choose from, we are able to deliver the perfect sleep solution for each individual property. Our extensive tests have shown that all comfort and support is provided by the mattress and topper, and not the bed base. We are so confident in the quality of our mattresses that we only offer solid top bed bases in our standard range. So, with the mattress choice sorted, this is your chance to marry it with one of our bed bases, chosen to provide an extensive range of style and practical housekeeping benefits. Hypnos' folding guest Z beds provide a versatile extra bed for an additional guest. Our sofa beds are a key integral part of our Hospitality Sleep Solutions range, adding flexibility and cost-effective value to our partners’ accommodation offerings. As an experienced bed manufacturer and expert in the true comfort of sleep, we apply the same rigorous standards to our sofa bed manufacturing and design processes, ensuring a consistent sleep experience across the range. Accessorise your mattress and bed base combination with one of 6 headboards, providing a host of complimentary design options to make a real style statement. 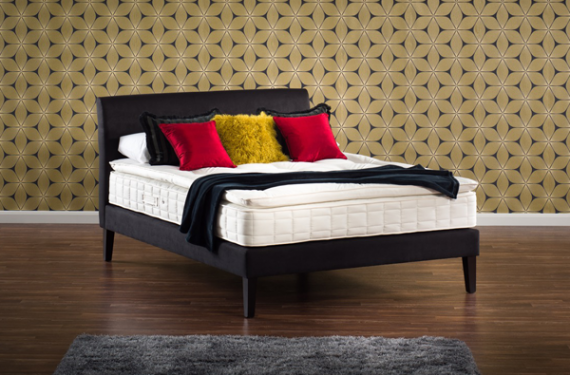 With 6 mattress choices, our range is built around optimum levels of comfort and support. 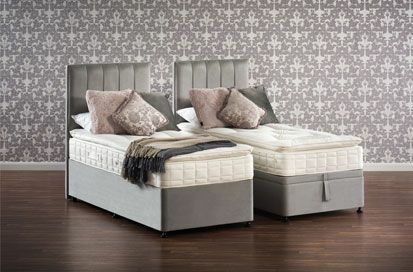 Hypnos' Zip and Link Service provides the flexibility to unzip and split a large bed into two single beds when needed. 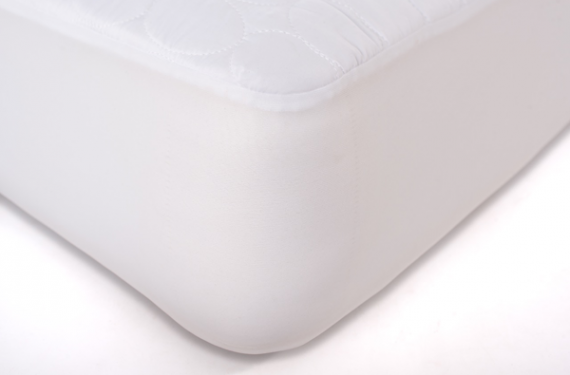 Hypnos recommends the use of Hypnos multi-sided mattress protectors to both protect your investment and also to provide the sleeping surface and mattress sides from the risks of unhygienic and unsightly stains, whilst maximising the life of a mattress. Now that the hard work is done, it’s time to put the finishing touches to your room set by protecting and personalising your selection with our wide range of optional extras and accessories. Hypnos Contract Beds has over 100 years of expertise to help premium student accommodation providers provide a premium night’s sleep for their students. We recognise that a good night’s sleep is crucial to enhance learning and enable students to work at peak performance and maintain good health. This site requires cookies in order to work properly. By closing this warning and continuing to use this site you are agreeing to our cookies policy.